The 24th annual Critics’ Choice Awards were doled out Sunday in Santa Monica. The awards are voted on by the Broadcast Film Critics Association (Forrest is a voting member) and Broadcast Television Journalists Association. Following is a complete list of winners. The Critics’ Choice Awards were handed out Sunday in Santa Monica. Following is a full list of winners. The funny folks at RiffTrax have announced results of their fan poll for the worst movies of the 1990s. Among the 20 films that made the cut are “The Island of Dr. Moreau,” “Spice World,” “Bio-Dome” and “Battlefield Earth.” Check out the FULL LIST. 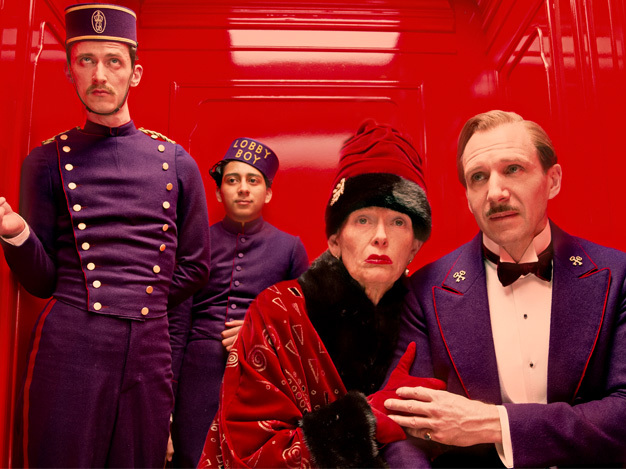 “The Grand Budapest Hotel” won the Critics’ Choice Movie Award for best comedy. The 20th annual Critics’ Choice Movie Awards were handed out at the Hollywood Palladium Thursday, Jan. 15. The show was broadcast live on A&E, but as a longtime member of the presenting organization — The Broadcast Film Critics Association — I received a couple tickets. The life of an entertainment journalist (particularly one who spends much of his time teaching) is relatively low on glitz and glamour, but it’s nice to spend at least one night a year checking out the sights and sounds in Hollywood. Traditionally, the Critics’ Choice Awards have been a good predictor of the movies and filmmakers who go on to win Oscars. Of course, that’s not always the case. For instance, “The Lego Movie” won the Critics’ Choice award for best animated feature Thursday, but did not receive an Oscar nomination.